How would you like it if one day someone stopped you from using your own name? It certainly wouldn’t be a happy day and the whole business would appear nonsensical. Yet this is precisely what has happened in the United Kingdom to Joe Schneider, one of the country’s finest cheesemakers. Joe produces a blue cow’s milk cheese called Stichelton, a made-up name of recent coinage for what basically is a Stilton, namely Britain’s oldest, noblest cheese. And he has been producing it since 2006, using the traditional technique recorded in documents dating back to the 18th century. But he can’t call it Stilton because, even though he works in part of the geographical area defined by the EU’s PDO (Protected Designation of Origin) scheme, Nottinghamshire, it can’t be certified with PDO status. The fact is that Joe uses only raw milk to make his cheese, whereas the PDO production protocol, drawn up in 1996 by the Stilton Cheese Makers Association, requires the use of pasteurized milk for hypothetical reasons of hygiene and health safety. 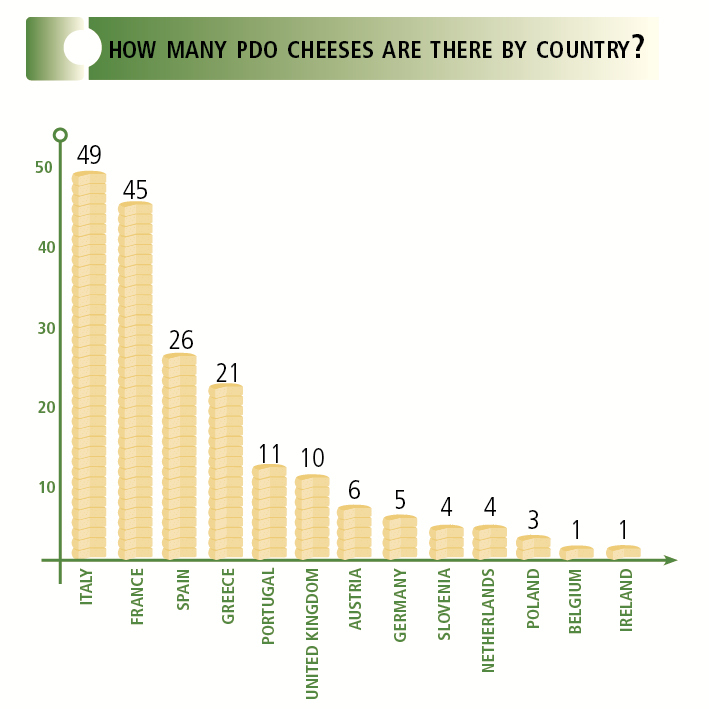 The United Kingdom is the country that most insists upon the use of pasteurized milk in its PDO production protocols (in proportion to the total number of its PDO products): five of Britain’s eleven PDO cheeses require the use of pasteurized milk, while four PDOs allow both techniques (raw milk or pasteurized). 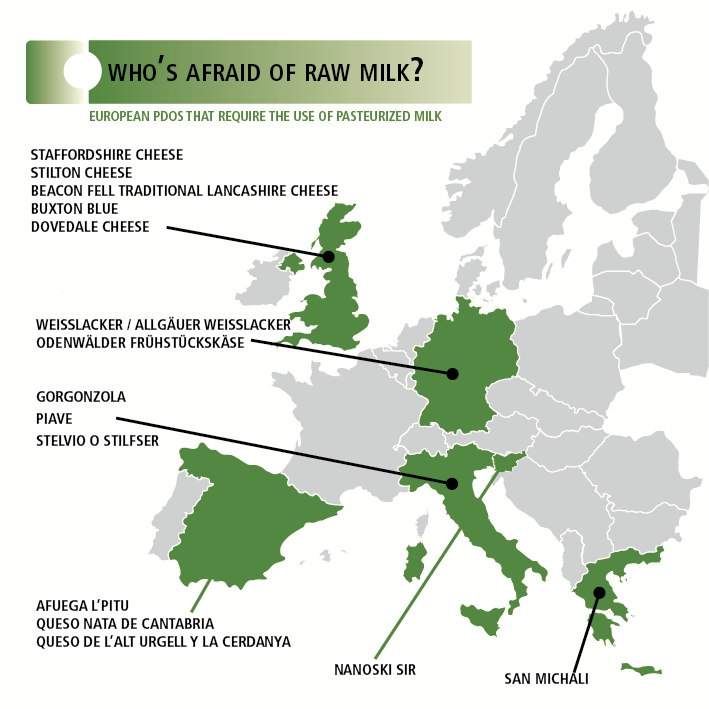 It’s a strategy that goes against the trend whereby the countries keenest to valorize their dairy heritage—France, Italy, Portugal, Switzerland—regard raw milk as a given. Joe only processes milk from the cows of his own herd, whereas the six PDO producers—all much bigger than he is—blend milk from a number of farms. Joe produces 8,000 cheeses a year, the other dairy farms over a million. Yet the consortium isn’t prepared to tolerate, still less to valorize his tiny, virtuous production. Which is why Joe’s raw milk Stilton now appears on the market as Stichelton, an old form of the name of the village in which it was produced historically. Initially, Joe Scheider asked the Stilton Cheese Makers Association to alter their production protocol to allow cheesemakers using raw milk to enter the PDO scheme, but in vain. He didn’t give up there, however. 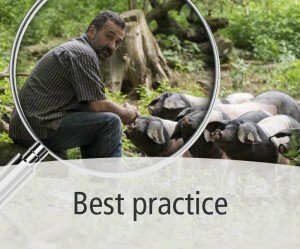 Three years ago, in fact, he began his own personal battle by submitting a request to the British Department for Environment, Food and Rural Affair to alter the PDO protocol, justifying it with the unimpeachable argument that cheesemaking with raw milk is the most traditional method and that his own technique is safe, its only requirements being a spotlessly clean workshop and healthy cattle. A long time passed before he received the reply, a clear ‘No.’ The Department’s view was that a request of such importance could only be submitted by a member of the consortium. The problem is that Joe can’t be a member of the consortium precisely because he would have to produce his cheese with pasteurized milk to become one. 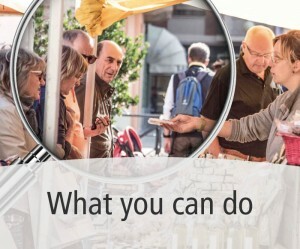 Slow Food has decided to support Joe in his campaign by setting up a Slow Food Presidium to assert the legitimacy of his request to alter the PDO production protocol and be allowed to produce the traditional version of raw milk Stilton. April 20 1862 is one of those dates that mark a turnaround in the history of western society. It was on that day that Louis Pasteur and his assistant Claude Bernard conducted a series of public experiments to demonstrate the effectiveness of heat treatment in making foodstuffs safe for consumption and the fallacy of the theory of the spontaneous generation of pathogenic germs. The process was named pasteurization in honor of the French scientist and, oddly enough, its first practical applications involved wine, vinegar and beer. Pasteur never performed experiments on milk. It was only in 1886 that a German chemist Franz von Soxhlet did so to ensure children healthier milk to drink than that being sold on the market. Considering the precarious health and sanitary conditions of the period, the results caused an immediate sensation, giving rise to the advent of the milk and dairy industry. By knocking down barriers of space (it was now possible to buy milk from a long distance away) and time (it was now possible to take much longer over the making of cheese), a form of dairy production came into being that broke the breeding-milking-cheesemaking chain that had been in existence for thousands of years. Until 1886 the milk used to make cheese was either that from the animals raised by cheesemakers themselves or, occasionally, that from neighboring farms, and in either case it had to be processed very quickly. With pasteurization, dairies were able to process very large quantities of milk, which they could source long distances away. In a short space of time, dairy breeding and cheesemaking became a marginal, almost folksy activity. Is industrially produced cheese the same as the cheese that was produced for centuries with raw milk? No, it isn’t, simply because there is nothing ‘living’ left in pasteurized milk, and to turn it into cheese it’s necessary to add enzymes, otherwise the rennet won’t act. All the modern rhetoric and narrative on cheese revolves around this one, apparently small detail. On the one hand, there are people who argue that the industrial process guarantees hygiene, low prices, wide product availability and consistent flavor. On the other, there are those who claim that this system has caused a demeaning homogenization of taste, a loss of animal biodiversity and a dramatic disappearance of traditional skills. Until 1886 there was only one way of making cheese, but it now seems to have disappeared for good. Is that really so? 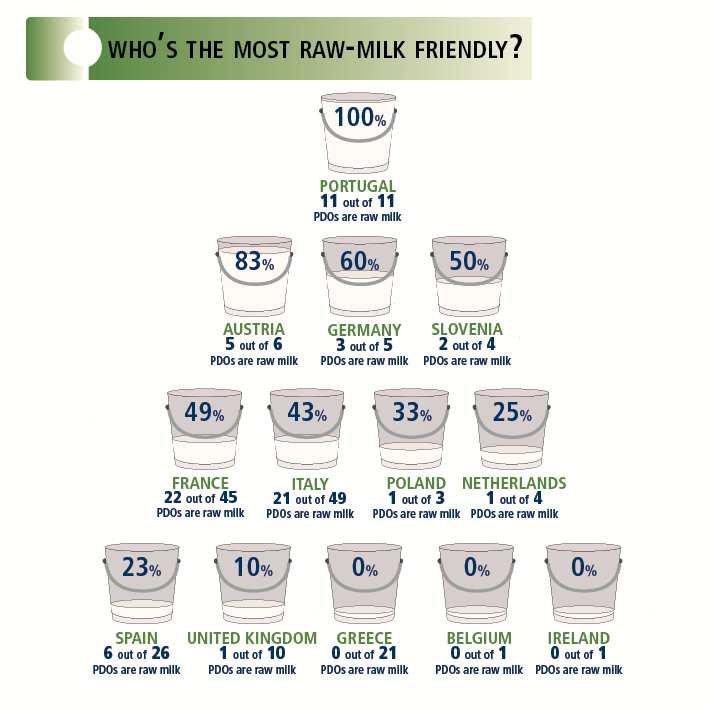 If we assess the phenomenon from a strictly quantitative point of view, it certainly is: if in Italy it weren’t for two colossi like Grana Padano and Parmigiano Reggiano, which have to be made with raw milk, the quantity of traditional raw milk cheese produced would account for no more than 3-4% of total cheese production. Luckily, albeit coming under violent pressure, the citadel is still standing thanks to the diffuse consciousness of the social and cultural value of raw milk cheese, not to mention the specificity of its production, that has formed among discerning consumers over the last few years. This has happened in only a few countries, however. 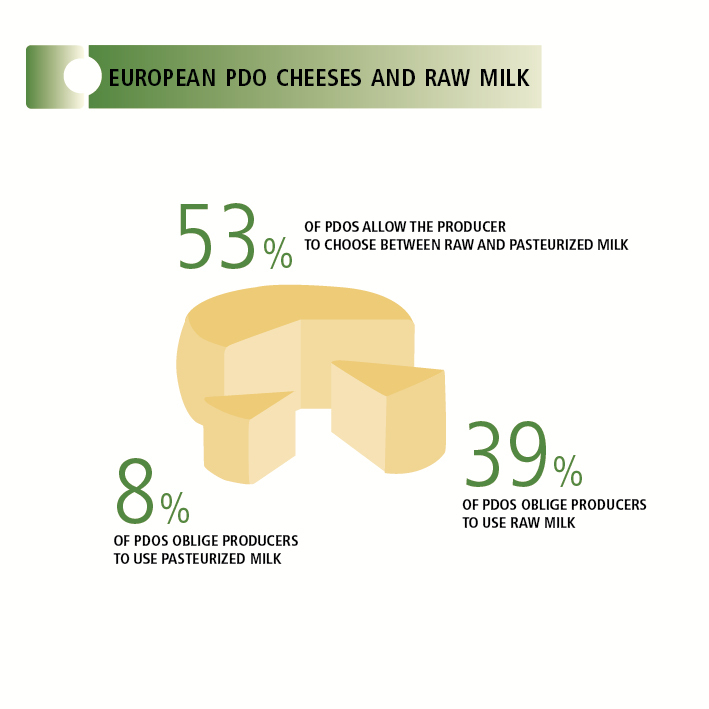 If we analyze the state of European PDOs, we realize that only 15% of production protocols require pasteurization. In itself the figure might even be a cause for consolation, but there’s also a ‘black hole’ of 53% of cheeses without specific indications with which everyone does what they like. It’s easy to see how this ambiguity throws the doors open to industrial production with pasteurized milk and selected native enzymes. Is it negligence? Or is it underestimation of the size of the problem? Or is it, purely and simply, subjection to the rules of the big industrial dairies? Lastly, very few PDO production protocols require the use of milk from native animal breeds. It is easy to see how this omission can be construed as yet another violent attack on the preservation of domestic biodiversity.